Sunday 6/15: Welcome to Fanari 2014! Posted on June 15, 2014 by elizabeth | Comments Off on Sunday 6/15: Welcome to Fanari 2014! Fanari 2014 is off and running! All of our campers, counselors and staff arrived safely in Green Lake this afternoon and we were extremely lucky with sunny skies to welcome them. The campers at Holy Apostles were treated to a wonderful send-off from the Greek American Motorcycle Association (see photos below). We’re so thankful for the members of GAMA who provided scholarships for campers to attend Fanari. Thank you for your continued support of our program! We ate dinner together- all 483 campers plus around 100 counselors, activity staff, and priests- followed by our camp orientation. We got the lay of the land and learned about each of our activities: Orthodox Life, Bible Study, Theater, Athletics, and Diakonia. Our activity staff talked about what we can expect this week and got us excited about the activities to come. Tonight we ended our first day with evening chapel, including a sermon from Fr. Peter, followed by the awarding of our first Spirit Stick of the week to the 11th Grade. We finished the night singing a Fanari classic I Will Magnify the Lord. Campers are now back in their cabins, having evening devotionals with their counselors, and getting settled. 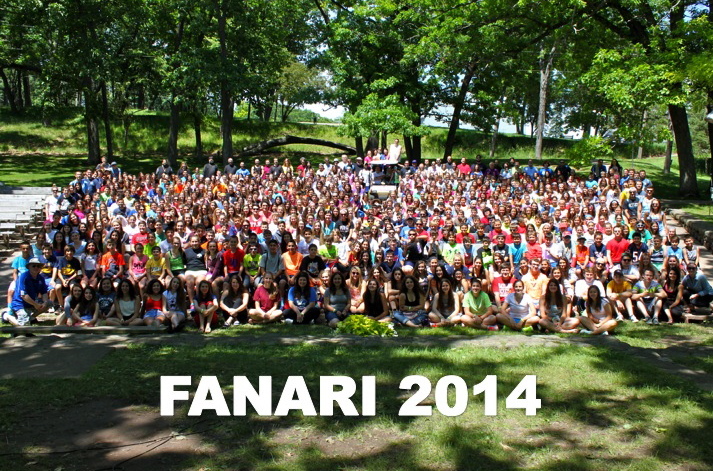 Fanari 2014 is off to a wonderful start and we can’t wait for our first full day tomorrow. Sleep well campers! Spirit Girls are prepared for anything! Ready to leave for camp! Holy Apostles campers are ready to go! Comments Off on Sunday 6/15: Welcome to Fanari 2014! Fanari 2014 here we come! Posted on June 11, 2014 by elizabeth | Comments Off on Fanari 2014 here we come! 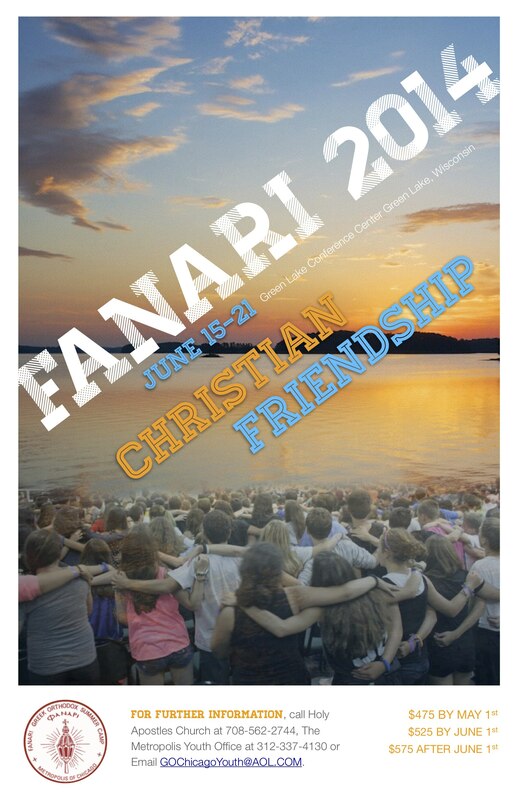 We’re only a few days away from Fanari 2014! 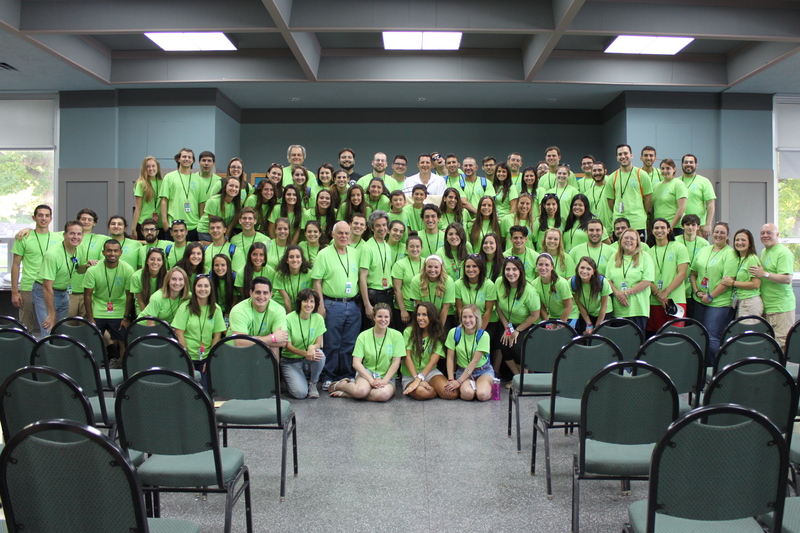 We hope you’re excited and ready for a week of faith, fun, and Christian Friendship! Please familiarize yourself with the information in the Camper Confirmation Packet 2014 and make sure your camper is aware of our camp expectations and guidelines. 2) Please be on time (no Greek time!) for departure on Sunday, June 15th. Buses will leave promptly at 1:00pm (2:30pm Annunciation, Milwaukee)! Make sure you allow enough time to arrive, load your luggage and say goodbye. Counselors will be wearing neon green staff t-shirts–they will facilitate the departure and will instruct you where to load camper luggage. Parents, please assist with loading of your child’s luggage. 3) Did you know we have a theme for our dance on Thursday night? Time to pull out your sports gear- wear your favorite team’s apparel (MLB, NBA, NHL, NFL, etc.) or dress for your favorite sport (tennis, golf, dodgeball, etc.)! Be creative and tell your friends. We hope you’ll dress up and get into the theme. 4) Remember that we are an Orthodox Christian camp and it should be reflected in the clothing you pack. Campers will be asked to change if they aren’t dressed appropriately (too short shorts, low-cut tops, inappropriate t-shirts, etc.) Please review the camper rules in the packet for specifics. 5) Finally, please remember our no-cell phone policy. When a camper leaves home for Fanari Camp, he or she needs space to develop their personality and find his or her place at camp. In order for this to happen, it is important that they not be tied to their cell phones or other electronic devices. With the proliferation of the use of cell phones and communication devices, it has made our ability to properly supervise your child more difficult. Any camper who is found with a cell phone at any time during our program will have the phone taken away and returned to them on the day of departure. We have an office along with an answering machine should there be a need to get information to your child. Your child will be notified at meal time if they have an important message. You should have received emergency numbers in your camper confirmation packet. Our office accepts phone calls from parents who need to leave a message for their child; we make every attempt to get the message to your child at the next meal time. Please do not be alarmed if your phone call is answered by our answering machine – given the nature of camp, we’re generally out and about interacting with the campers. Please do not call the camp hoping to speak with your camper, as it is our policy not to pull campers out of the program for a call from home. Campers will not be able to accept a phone call except in the case of an emergency. Phone calls to campers often cause increased homesickness and disrupt the camp program and community. We’ll update on a regular basis, so check back to see the fun we’re having at Fanari! Comments Off on Fanari 2014 here we come!